Re: So what got you into diving? I'm 24, have been scuba certified for 2 years and free diving for 4 years. Besides snorkeling as a child at Lover's Cove, my first taste of diving was during a camping trip to Scorpion Anchorage. I was completely amazed at the abundance of life there and wondered to myself if my local coves on the Palos Verdes peninsula would be comparable. I did a few dives at Abalone Cove and was pleasantly surprised to find a lot of the same creatures which I saw at Scorpion. My first real free-dive using weights were at Lover's Cove on Catalina. There my buddy and I encountered two very large adult Giant Black Seabass. After that awe inducing experience we began venturing out to more remote coves on our local peninsula. This brought us to Christmas Tree Cove, Honeymoon, Long Point and of course Marineland. I quickly gravitated to underwater photography so that I could document our marine life sightings and to show my non diving family and friends how much raw wild beauty lies just beneath the surface, right underneath the hustle and bustle of city life. After two years of free-diving my buddy Charlie and I got certified. Since certification we've shore dived almost all of our local coves, even some of the more remote/challenging sites such as Neptune's. We have also been going back to Scorpion Anchorage every summer for scuba diving, kayaking and hiking. My love of underwater photography has quickly become an obsession and almost all my free time / money seems to go towards it. At age 20 I was on the brink of leaving Los Angeles and moving out to the family property in Arizona to escape the daily grind of the concrete jungle. Because of diving, I've been able to get that same tension release and natural high of the great outdoors without driving more then 20 minutes away from my house. 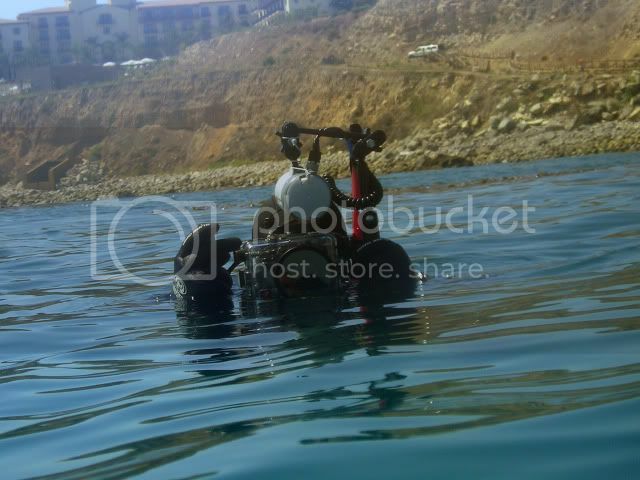 In just a few short years scuba has changed my life for the better and I don't know where I'd be today without it.